The airport consists of 5 main passenger terminals and one royal terminal. Terminals 1-4 were built in 1982, when the airport was put into operation. At that time it was the largest airport in the world. The object occupies 225 km ². Terminals 1-2 are used for international air transportation, Terminal 5 was built in 2016. The work on engineering surveys of the airport territory is connected with the reconstructed terminals 3 and 4. Reconstruction of these terminals required the renovation and modernization of the infrastructure, new requirements are required to provide buildings with electricity, running water, ventilation. To cover the increased needs, several technical buildings are being designed, communications are being conducted. Design work is impossible without engineering survey. It was decided to perform topographic mapping of the territory using laser scanning method due to high speed and fewer errors. As the executor, the joint venture of Russian Trimetari Consulting LLC and Saudi Jubail Engineers was chosen. Preference for the venture was given mainly because of extensive practical experience in laser scanning, market average cost and short time. Topographic mapping of the airport territory was carried out on an area of ​​90 hectares. There were taxiways, the highway connecting the airport with Riyadh, transport interchanges, parking lots, mosque, hydraulic structures, energy facilities, security and communications. 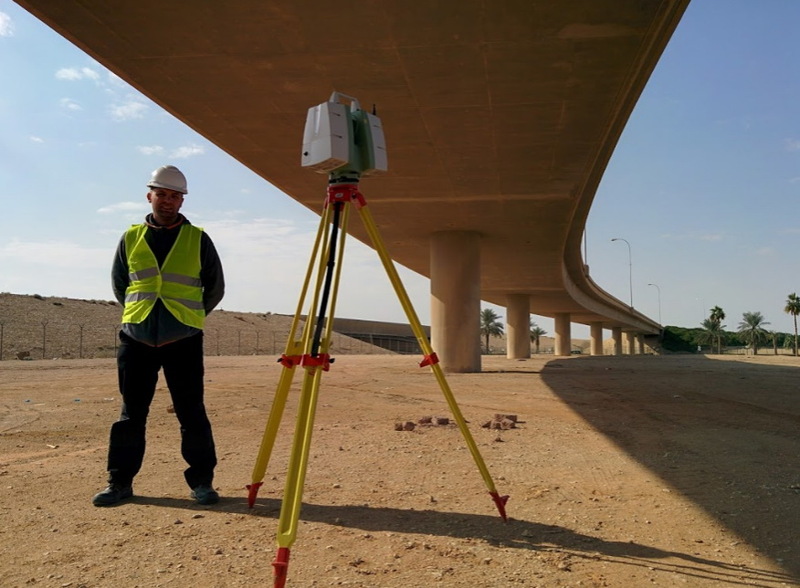 For the laser scanning work, Leica ScanStation C10 was used. The device has a range of 270 m and good accuracy characteristics. 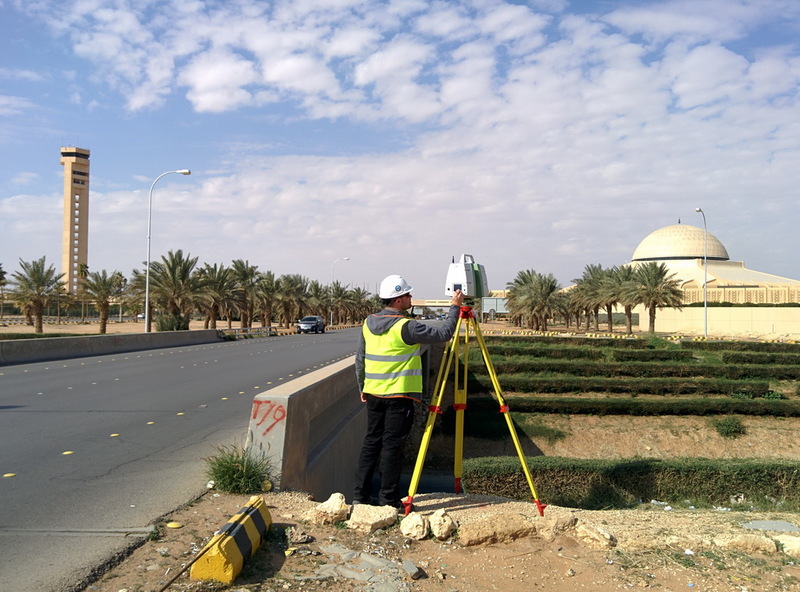 To register the laser scan data to the working coordinate system, a phase two-frequency GNSS receiver was used. The field work was completed within 1 week. 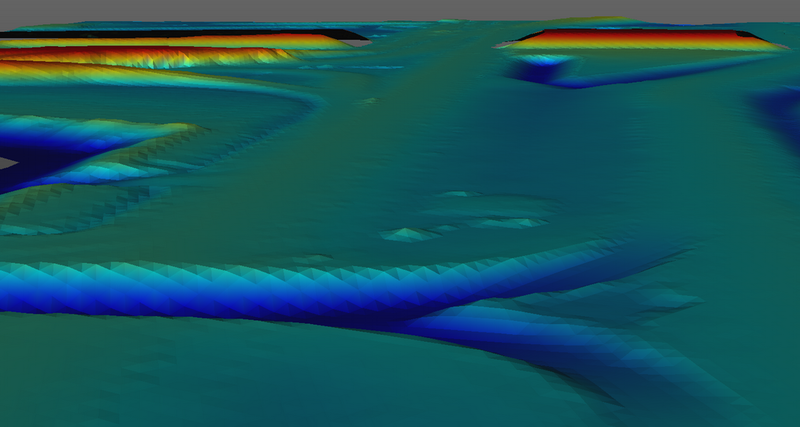 The result of the laser scanning data processing, lasting 1 month, was the topographic plan scale 1: 500 and the digital terrain model (DTM). 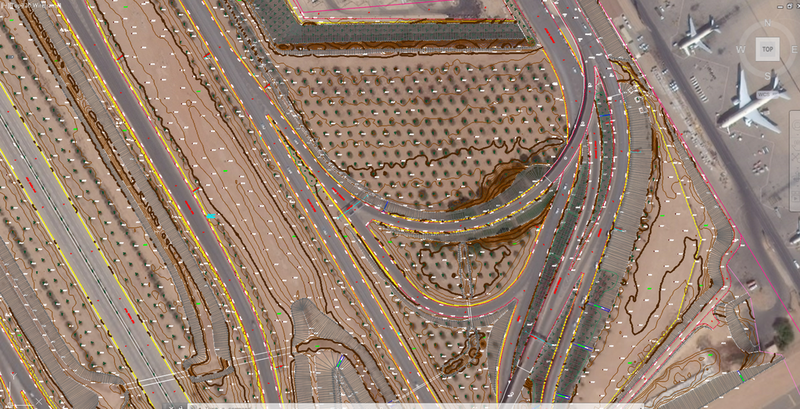 Accurate and highly detailed survey data allows you to design new objects and reconstruct existing ones with a minimum of errors, so-called collisions and intersections. The company’s work was accepted and appreciated by the construction management.